Since then, we have the FMR, Olympic Reference, FMR SE which I continued to be amazed by the ever alleviated improvement from one generation to the next. To term a series as 'Extreme Edition - EE' is a bold statement call which does not come only with minor improvement. Such high level of discipline is becoming rare in this rapid commercial world with shorter and shorter product life cycle. I am sure some brand would soon run out of space to put 'crown's in the cable shell in order to foster sale. I have received the first pair, likely in Asia, of FMR EE XLR interconnect and is secretly being burnt in by Marvel Jr running from preamp to power amp waiting for my return in the coming weekend from Singapore. This is a pair of 1.5m run cable containing a total of 800 separate pure silver conductor 7N (total length 1.2km). Isn't it exciting to hear it comparing with all the exotic cables in my system and hopefully by hook or by crook, I can get some branded labels for comparison as well? In the past, whenever I test any cables and components, I picked up most of my favourite and familiar music and could draw clear conclusions in most cases. Gradually, I find that the more advanced the cables and components are, the more challenging to unleash and put in words the difference thru AB comparison. Although I am not a professional reviewer of cables and components, I still need to enhance more self capability of cable/component assessment as it is part of my hobby doing so. A live example where Dietmar had invested tremendously in laboratory class instruments to measure the precision of his Trinity components and in order to keep improving in the quality, he invested double the amount on an even more stringent equipment in order to be able to increase the precision of the measurement. Only by heightening such measurement standards can one tell the minute difference and set a new level of the benchmark. How could I possibly simulate this in my ‘home’ environment in order to enable a proper evaluation of FMR EE and tell the difference of it from the other cables in my system which arguably are, in my view, far better than many in the market. I started by using the SACD player as the source and asked Marvel Jr to listen to his favourite music and tell me the difference. His comments on FMR EE is that the resolution is definitely heightened but there is no obvious conclusion that he can readily draw that FMR EE outperforms entirely the cable that I was using between the preamp and power amp which I have casted it as the best in my system thus taking up the common path to the power amp channeling from all sources. Over the last weekend, when I was in HK and listening extensively to the cable also on the SACD player, my comments are more or less in sync with Marvel Jr. until I switch to use Trinity DAC with all my heavy weight accessories like Dalby Celestial ground wire, Linebacker Extreme, etc. The level of clarity, resolution and the amount of details delivered from the latter source have been elevated tremendously thus demanding a more revealing path to carry. The degree of measuring the accuracy (thus distortion made by the cable on the contrary) has been moved to the one more decimal place to the right!! Bingo! Now the difference is not unobvious. With FMR EE, the path is a free aeroplane runway as opposed to a 5 lanes expressway. Music can bounce up and down, right and left without constraints. The most shocking thing is the information related to the recording venus become even more apparent! Let me sight another example. I have a Chinese music by Hugo called White Snow in Early Spring which is a recording in a studio and another Sweden choir by Proprius which is a recording in a church in Stockholm. In the past, the soundstages of both music depicted by system are different. The former is more contained and ‘boxed’ while the latter is more wide open with much more height and depth info. With FMR EE, such difference in the size of the dimensionality has become much more obvious! One of my friend made the same comment on last Sat night but I didn’t tell him this is as a result of changing the interconnect to FMR EE since he has no background details on why this could have happened. He also made similar comments that the SACD source is ‘day and night’ difference compared to Trinity DAC which again, in the past, the acclamation was at least ‘5db’ lower!! 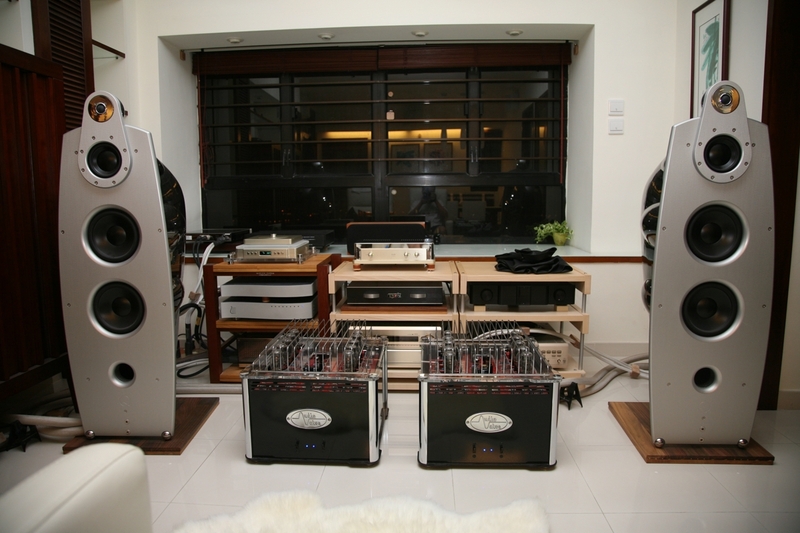 I will report more in next week when I am back to HK again but surely the excitement of readership of this forum will all be carried away by the upcoming AE super hifi show on the coming weekend where I believe Argento will also be showcased! How did you burn in the FMR EE? Where is the speaker cable? I was extremely shocked by the Argento Speaker cable and IC, so I read your sharing several times, as your review is so precise and thorough, I really like the description " With FMR EE, the path is a free aeroplane runway as opposed to a 5 lanes expressway". Jeff, I also appreciate your introduction of the cable for me! FMR EE, after weeks of burning in and audition, I am satisfied that it is time to share my views and trust they are conclusive in the context of my listening environment which is far from perfect and can’t compare with AE showroom. PT knows I am working to improve on this but prior to that, I am still confident that my comments on FMR EE can be objective enough to share for readership here. After all, who knows better me on my room acoustics character. - Purity of transmission – A cable is a passive pathway which would only add noises from various source (eg. Electromagnetic interference), deviation on transmission character across different frequency spectrum due to impurity of the conductor, skin effect due to conductors touching each other, colorate certain range of frequencies leading to a perceived ‘cable character’. Related attributes are transparency, resolution, spatial cue, quietness. - Energy preservation – Again, all conductors in the cable are resistors and there will be inevitably energy loss during the signal transmission and such energy loss will be dissipated in a form of heat. The lesser the energy loss, the more even the energy loss across different frequency range and the more strands of conductors are obviously the determining factors for a superb cable. Related attributes are macro and micro dynamic, transient, attack, scale. - Musicality – This is perhaps more controversial to elaborate what it exactly means for musicality. To me, musicality should only be originated from the original recordings, not contaminated or twisted by either the hifi components or the path of transmission. 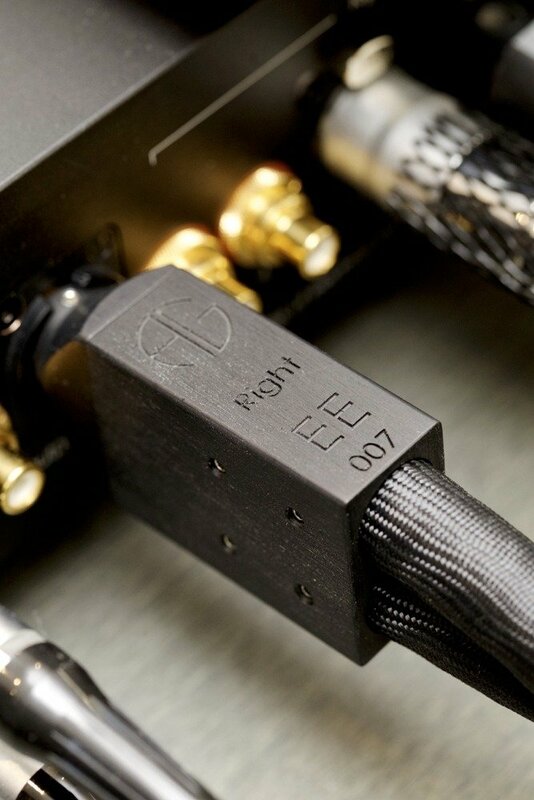 Different component may carry different character and likewise different cable will have different signature sound. To me, if I hear similar tonality, tempo or ambience on different type of music and recording, something is not right. Related attributes are tonality, coherence, ambience. To recap, FMR EE is connecting from the preamp to power amp. I prefer to test interconnect in this position because the signal has been magnified 10 times in the amplitude from the source by the preamp before going into the power amp for 2nd stage of amplification. It is analogically like driving a big lorry truck across a tunnel which poses a more stringent demand on the quality of the pathway! When listening to Joan Baez, Diamonds and Rust in the Bullring, the audience in the spacious bullring in Spain were singing and clapping their hands which I could here in many top notch cables, under FMR EE, the rhythm of such background singing and hand clapping can be heard much more vividly like a sea wave fast in surfing up and slow in surfing down at the back of Joan Baez. More importantly, the echo of Joan’s voice from the perimeter of the bullring (approx. 200m wide) is more apparent putting me like in the center of the stage together with Joan facing the crowd surrounding us. I listened thru the entire recording utterly enjoyed the atmosphere of such a glamorous concert! Now the Green Blade Riseth, a recording by the Stockholm Cathedral Choir, has been played thousand times in my system. FMR EE gives an unprecedented presence of the reverberation of the human voices traversing to the ceiling of the cathedral and back to the recording mic. My mind kept on showing, ‘Oh my God!’ when listening this CD which in the past I was already contended by the resolution on the choir positioning, spatial cue, contents of the hymns. FMR EE uses carbon polymer for individual shielding of each conductor and forms a dream team with all the other noise ‘mitigator’s in my system such as the Dalby Ode Filter, Extreme Linebacker, Celestial ground wire….Each of them contributes to such low noise platform microscopically dissecting out the hidden details of the recording. Having said, the cable can only avoid further contamination but cannot do the job of removing the noise brought forward from the upstream source. As aforementioned, it is a team work on noise mitigation. On this, I use another one of my favorite cello music, Gendron playing Schubert Arppegione , an RCA French recording. Obviously I was not in the recording venue but I can imagine the Cello performer is sitting nearer while the piano is at a farther end of the stage. Not only can FMR EE depict a clear spatial cue between the piano and cello, it can reveal appropriately the energy of the bass strings echoing with the cello chamber without eclipsing the lyric and rhythm of the piano carried over by the energy in the mid to treble. Again, the scale of the piano, which is a function of another bass energy transmission has not been shaded over by the weight of the cello. Such high level of delineating the energy across the frequency spectrum cannot be achieved without the 200 strands of pure 7N silver inside the EE cable. Whilst many other cables can use the same design and make a thick cable like a baby’s arm, the special technique to bundle them into an industrial standard XLR connector is pivotal. The design of the FMR EE connector is proprietary and according to Ulrik the design of the RCA connector is a challenge considering the amount of conductors latter of which he doesn’t want to compromise. Energy represented by vocal is not just limited to a palpable midrange. For those familiar with the HK Pop singer Jacky Cheung, quite often he moves his node of the throat (don’t know the correct biological term for this, sorry) up and down while singing. I am amazed how he can do it but I understand this is a technique to elongate the extended decay of his voice. Of course, I can’t do this as I can’t even sing well. When listening to Track 13 of Jacky Cheung 15, A wonderful music journey, ‘Your First Name, My Last Name’, I can hear the slightest variations of such skill mastered by him leading to a touchingly lingering. Again, no other cable in this position can reflect such better than FMR EE. I listened to various vocal, piano, violin and cello pieces, trying to contrast the articulation of Rebecca Pidgeon vs Diana Krall vs Eva Cassidy, Horowitz vs Uchida vs Pires vs Agerich, Grumiaux vs Mullova vs Accardo vs Kremer, Gendron vs Maisky vs Fournier vs Rostropovich. They are undoubtedly great performers representing different glorious era in the past few decades, they have their own touchings and could produce multitudes of shadings on their musical pieces via their own body clock to control the rhythm and tempo. FMR EE enables me to reach a better understanding on the tonality of a musical instrument is not entirely produced by its make, the passion and skill of the performer would also contribute to the tonality thus determining the musical message that the performer wanted to convey. Another analogy I would like to cite is musical passage is like driving a car from point A to point B with different scenic view. Different drivers would handle the journey differently, some may prefer constant speed, some may be slower in the corner and faster on straight path, some may even pause for a while to allow you to sight a view along the journey. FMR EE is like a ‘GoPro’ camera attached to the car allowing me to following the musical passage clearly seeing the unimpeded expressiveness on roaring in the straight path to the timid subtlety on minor twist in the corners even to the intentional pauses. The smoothness of the ride on uphill, downhill, cornering represents the lyrical coherence and rhythm of the musical passage. 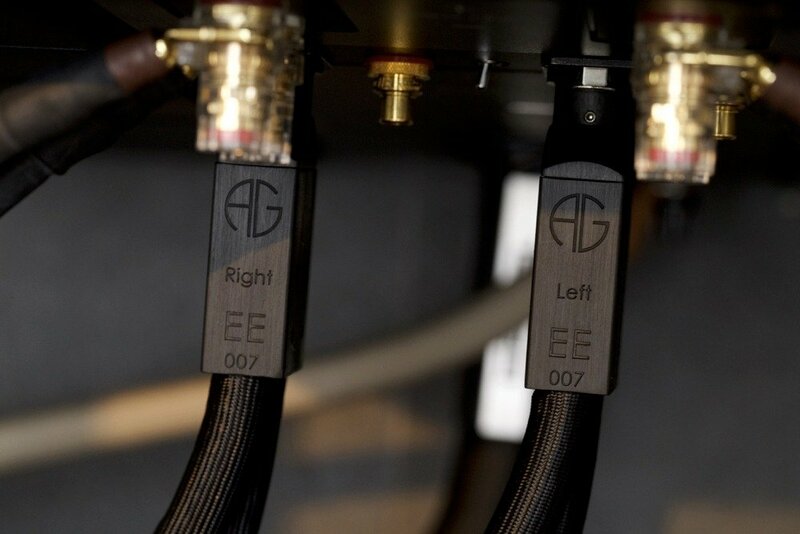 FMR EE exceeds the performance of all other cables that I have used in the aspects of purity and musicality. In terms of energy preservation, it is on par with Skogrand Beethoven. It seamlessly sews up the 2 stages of amplifications giving a free runway of signal flow without any slightest tint of coloration. I am happily saving up to have a full suite of FMR EE and when that time comes, I would be happily retiring from the all the cable chases and enjoying music in its truest form ever!! I attest every word of yours on FMR EE is so damn true equivalent to experiences of mine with a complete suite of trinity electronics. I can't write like you do, no damn patience. Thanks for an excellent indepth writeup. I recog you had taken considerable of time to prepare such quality work. Voy, are you using the FMR EE Speaker cable? Of course because there are no equivalent in the world now regardless of price! I am using a complete suite with Trinity. Too damn good to this old arrogant soul. I don't change cables as frequent as yours truly. And I don't like incremental change because time matters to me. My withering soul has no time to be spared. I also dislike mix and match like you because I am far from the technical proficiency of PT. I always damn know where I wanna be. I am sure you understand what I meant! We are buddies for a decade! Empress is my priority now. These are game changing product that no super cables can achieve. But Miguel has been too slow in delivery this year. I hope he is catching up. I know more than a dozen is waiting for it. FMR EE interconnect is indeed damn crazy piece of cable work by Ulrik Madsen. A single run shocks my peers. Double run send repeated chills to the spine.